CQ Cafe at Sydney's Circular Quay is in the best possible location. Love the outdoor ambience right near Gateway, opposite Circular Quay train station. Walk inside, and you're spoilt for choice. There are some interesting food and drink treats on the menu. 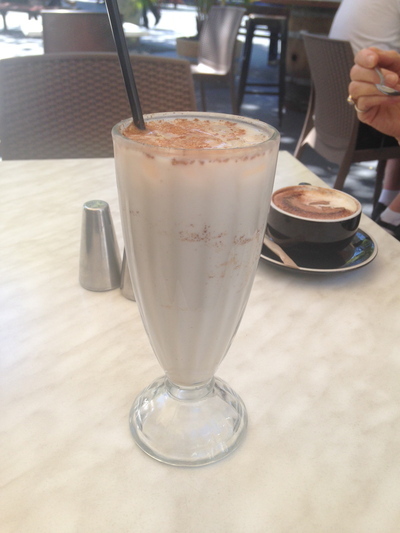 Came with someone recently, and she ordered a Cappuccino ($4.50); while I went for an Iced Chai Latte ($5.50). I loved it. You get used to the milkiness, and the cinnamon flavour was spot on.